Zaha Hadid Architects has revealed that it pays women 19.6 per cent less than men, based on the median of its staff salaries. The London studio, which is now led by Patrik Schumacher, is one of several UK architecture firms that has had to make its gender-pay-gap figures public following a change in law. The figures show a median gender pay gap of 19.6 per cent, which was calculated by comparing the salary of the middle earning man and women at the practice – a common metric used to measure pay disparity. The mean average gap of salary figures at Zaha Hadid Architects is slightly higher at 20.9 percent. The studio claims the pay gap is due to a greater number of men in senior positions at the company. 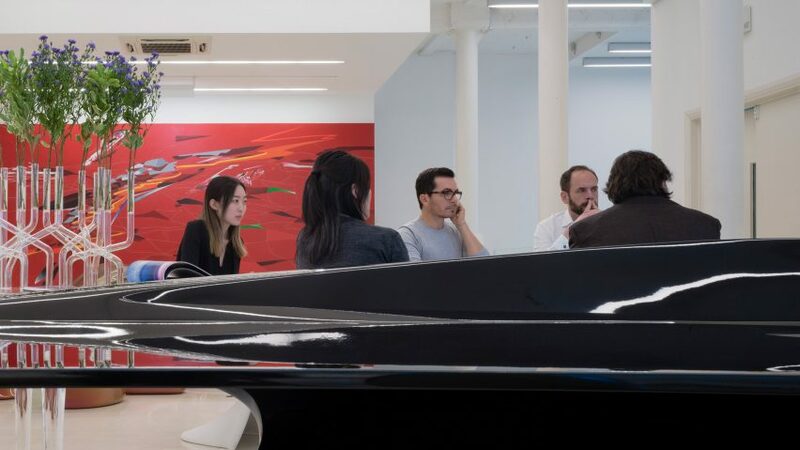 "This pay gap exists because higher proportion of our longest-serving team members who grew the practice with Zaha Hadid over the past 30 years are male and have continued to lead the company since her passing in 2016," said a statement from the practice. "We therefore currently have a smaller proportion of women than men in higher paid senior positions." All architects in the UK that employ over 250 people are now required to publish their gender pay gap figures annually. Foster + Partners, the UK's largest architecture practice, revealed a median gender pay gap of 10.5 per cent last month. To help practices that are not required to reveal their figures Dezeen created an online calculator as part of our Move the Needle initiative to quickly and easily calculate the gender pay gap at their firms. Mouzhan Majidi, chief executive of Zaha Hadid Architects, stated that employees in the same position are paid equally at the firm: "Men and women in equivalent roles at Zaha Hadid Architects are paid equally." "We are committed to an inclusive working environment of equal opportunity that is gender aware and recognises the important contributions of every individual member of our team." The practice also stated that it has created a mentorship programme and increased maternity pay throughout the practice in an effort to tackle its gender pay gap. "With much more work ahead to close the gender pay gap, we pledge to implement working systems tailored for all and to address the key issues of our industry that will enable more women in architecture to realise all their ambitions," continued the statement. Zaha Hadid established her eponymous practice in 1979. Following Hadid's untimely death in 2016 Schumacher took over leadership of the practice. Ranking seventh on Dezeen Hot List 2017 Zaha Hadid Architects continues to work all around the world. It recently completed its first project in New York City and is set to design Mumbai's new international airport.